With the onslaught of new Android handsets that have launched in the past few weeks, it's easy to forget about the Samsung Galaxy S9. However, this humble smartphone is still comfortably one of the best flagship smartphones available to buy right now. Don't believe us? Check out T3's definitive countdown of the best smartphones of 2018 for yourself. 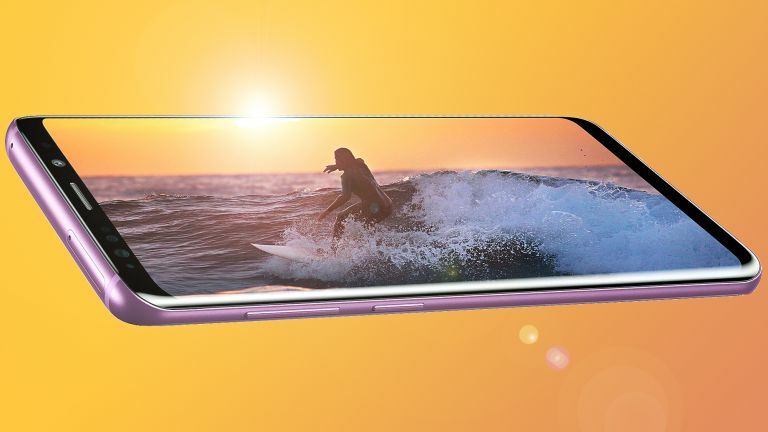 Despite still being the flagship Samsung Galaxy S smartphone (until the Galaxy S10 launches in February 2019, that is), the handset has seen some serious discounts ahead of Black Friday. The latest deals come courtesy of Virgin Mobile and Carphone Warehouse's iD network. The former is now offers the Samsung Galaxy S9 for £23 a month – that's the lowest ever monthly price with no upfront cost. For that, you'll get 1,000 minutes, unlimited texts, and 1GB of 4G mobile data. At 36 months, the Virgin Mobile is one of the longest plans you'll see for this handset – something that's worth keeping in mind. However, those who don't want to pay any money upfront for the Galaxy S9 won't find a lower price today. However, if you can stomach the thought of paying a one-off upfront fee at the start of your new Galaxy S9 contract, then iD network has a brilliant rival Black Friday deal. The Carphone Warehouse-owned 4G mobile network is offering the flagship handset for £28.99 a month with a £9.99 upfront cost. For that, you'll get 5GB of 4G of mobile data, with unlimited calls and text messages. Like all iD network contracts, you'll benefit from data-rollover, too. That means any unused mobile data from your monthly allowance will be automatically rolled-over to the next month, giving you a second chance to use it. In total, the 24-month contract will cost you £705.75. For comparison, the Galaxy S9 would set you back £739 SIM-free when bought from the official Samsung online store following its launch back on March 16, 2018. In our Galaxy S9 review, T3 praised the flagship handset for its standout, party-piece camera system, as well as its eye-popping Super AMOLED display. Even with the Galaxy S10 looming on the horizon, you really can't go wrong with the Galaxy S9 if you're looking for a brilliant Android all-rounder. Galaxy S9 is available in all four colour finishes – Coral Blue, Lilac Purple, Titanium Grey, and Midnight Black – when bought on the iD network. Unfortunately, those who opt for Virgin Mobile will miss-out on the Titanium Grey finish.